One of the things that I love about real estate marketing is the lack of creative uses of data in the marketplace today. 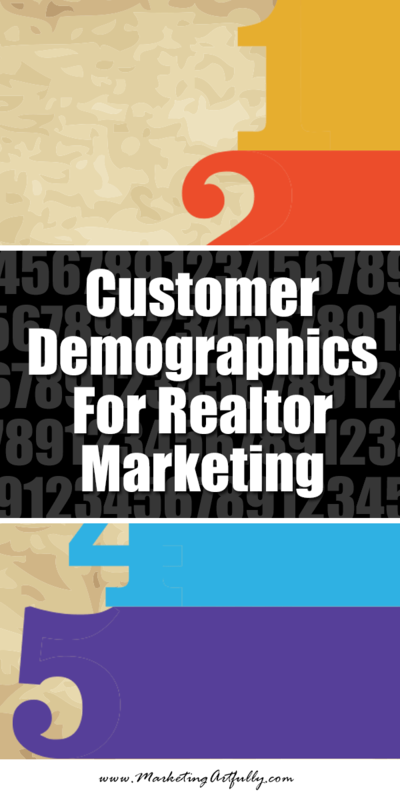 Most real estate agents have no idea about how to use customer demographics in the most effective ways to get listings, lead generate or close more sales. Today I will take some of the available data and put it into context that you can use in your listing presentations, pre listing packets and even your marketing materials to grow your business. According to the 2018 National Association of REALTORS® Profile of Home Buyers and Sellers, “The typical home seller in was 55 years of age, had a median household income of $98,800, and lived in their home for 9 years….this number is down from last year”. So what does that tell us about prospecting for sellers? You will want to be very clear about which sellers to mail to (ones that have owned their homes 7-8 years). Additionally, you will want to use graphics that depict families who have parents who are more mature and kids who are high school aged or college aged. OR you could depict a mature couple who are standing alone without kids at all. Think about it, why are so many homes sold by 55 year olds? Is it perhaps because they are selling the family home and moving somewhere more appropriate now that they don’t have a passel of kids at home? Think about what to mail them. You will want to talk about second homes, down sizing and what to do now that the kids have moved out. Talk about freedom and passion and getting back in the groove and having fun! Oh is this good data! It will show us what kinds of people and properties to use in our marketing. You should use pretty and popular pictures of 30-somethings. They might have some school aged kids and should be looking at properties that are in the $300K range. According to the 2019 Millenial Home Buyer Report, 72% of Millenials prize buying a home over getting married or having a child. Approximately 79% of millennials are first-time home buyers. 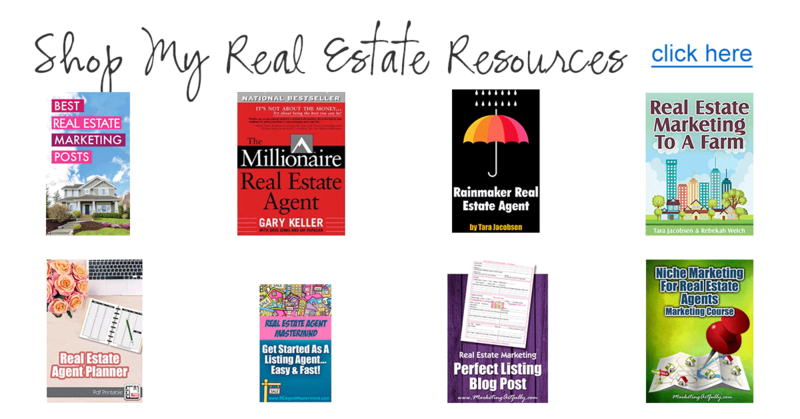 Because they’re new to the process, most (approximately 82%) are looking for helpful online tools and trustworthy real estate agents to guide them. Because all markets are different, you will have to see what kinds of properties would be realistic for your first time homebuyers! For Sellers and FBSOs – Where Do Buyers Come From? FSBOs – If you are prospecting FSBOs, the 87% of buyers who use Real Estate Agents in some manner is a powerful piece of information. Don’t beat them up about it, but the fact that you are only able to reach 13% of buyers is not great for selling your home. Both – The most impactful number is the fact that 87% of buyers have some contact with a real estate agent (17% very first contact is with a Realtor). You will want to talk up the fact that you have great real estate relationships and that even though you will be trying to sell their home, generally it will be another agent who will be representing the buyers. Make sure you talk about doing Brokers Opens, that you have a local Real Estate Agent Database or even if you are teaching locally. Both – If you rank highly for keywords related to their local market, city or even subdivision, make sure you put screenshots of that in your listing presentation. Using Prospecting Data – One of the main things I would like this data for is to figure out how to target customers who might be ready to move in the next year or so. I would take the Tax Records for a subdivision that I like and drill down to find the homeowners who have lived there 7.5+ years and start pounding them with amazingly helpful information about what to do remodeling-wise to sell their home and what the 5 biggest seller mistakes are and how they can get 10% more for their home sale with this one little trick. I would make them want to call me and and have me come by to do a CMA and then sell that home fast and for the most money! 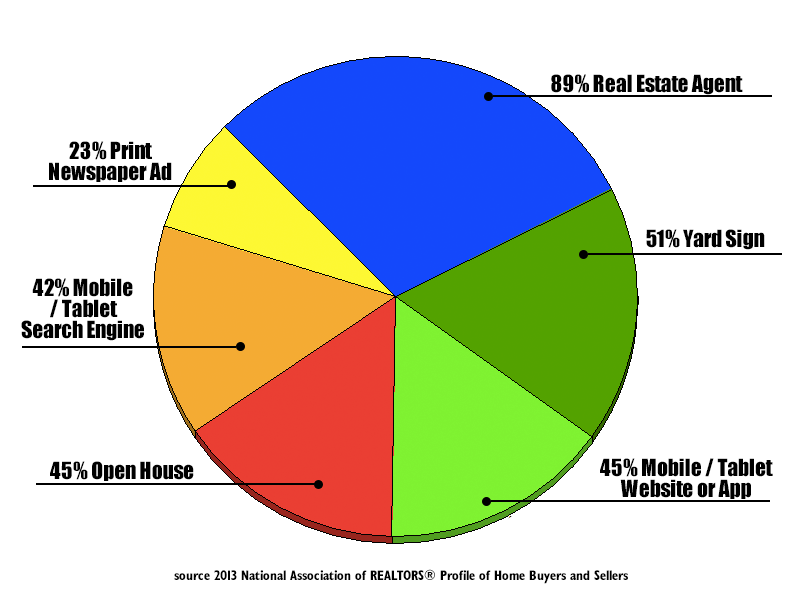 Using Commission Magic – I always had the pie chart in my listing presentation so that they could see that most times it would be another agent selling their home. This helped me get at least a half a percentage point extra for the buyers agent and gave me a great thing to talk about when doing brokers opens or agent get-togethers! 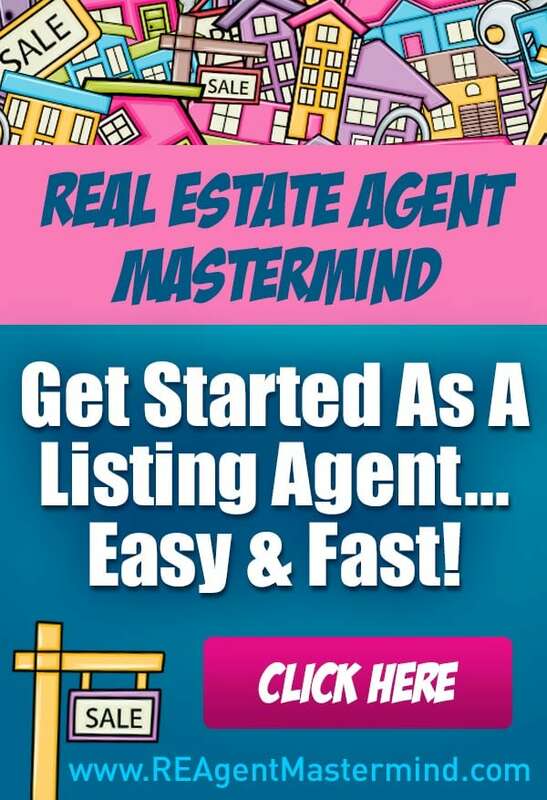 I told my sellers how I talked about marketing at all the local real estate offices and the board, I let them know I had a database of agents I had done deals with or hosted open houses with and that I would email their listing to all those real estate agents too! Sellers don’t care about you except in the way that your business and marketing can help them sell for more money so let them know all the cool things about working with you! Working Those Buyers – I would definitely look at the numbers and find out what that means for them buying a house. I would get together with a lender and have a really cool chart that showed if you make $50K a year you can buy a $150K house, if you make $60K a year you can buy a $200k house, etc. I am here to tell you that data is not available readily on the internet and it would definitely be something first time homebuyers would be interested in! Okey-doke, there are a few ways you can use Customer Demographics to make your Real Estate Marketing more effective. 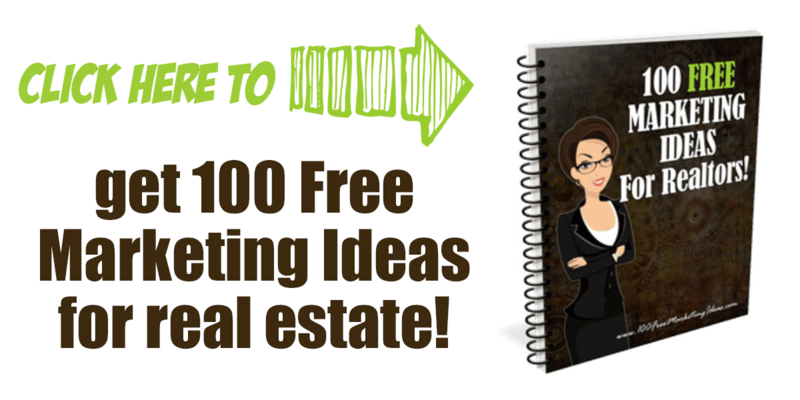 Leave me a comment below if any of these idea sparked a great idea for you and your marketplace!